The prominent Y-shaped asterism called the "Water Jar" (or "Urn") of Aquarius, the Water Bearer, is at the top center of the picture, with Zeta Aquarii at the center. The faintest, Seat (Pi), is at the upper right of the "Y", while Eta is at left and Sadachbia (Gamma) is at lower right. Sadalmelik, Aquarius's Alpha star, is immediately to the right of and a bit down from the Water Jar. 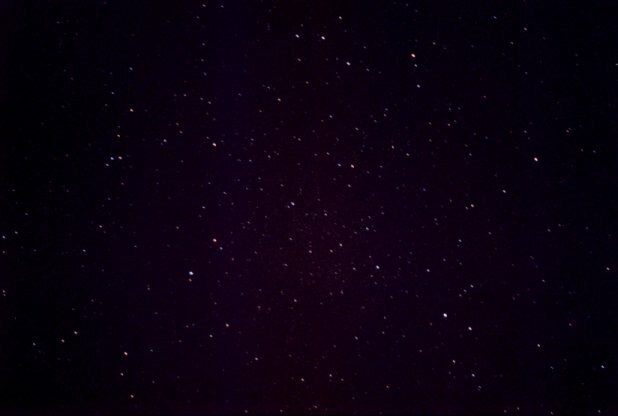 Farther down and to the right, near the right edge, find Sadalsuud, Beta Aquarii. Hydor (Lambda) is the brightest star down and to the left of the asterism. Theta is the brighter of the two stars below and a bit right of the Water Jar; Rho the fainter to the left. The promient trio of stars near left center consists of (from left to right) Psi-3, Psi-2, and Psi-1. Directly above and a bit to the right of them lie Chi and Phi Aquarii. Tau is directly down from Hyador, while Skat (Delta) is is down and to the left of Tau; 53 Aqr then lies down and to the right of Delta, while Nu Aqr is down and to the right of Sadalsuud, while Xi is just down and to the left of it. Northeastern Capricornus is at the lower right-hand corner. 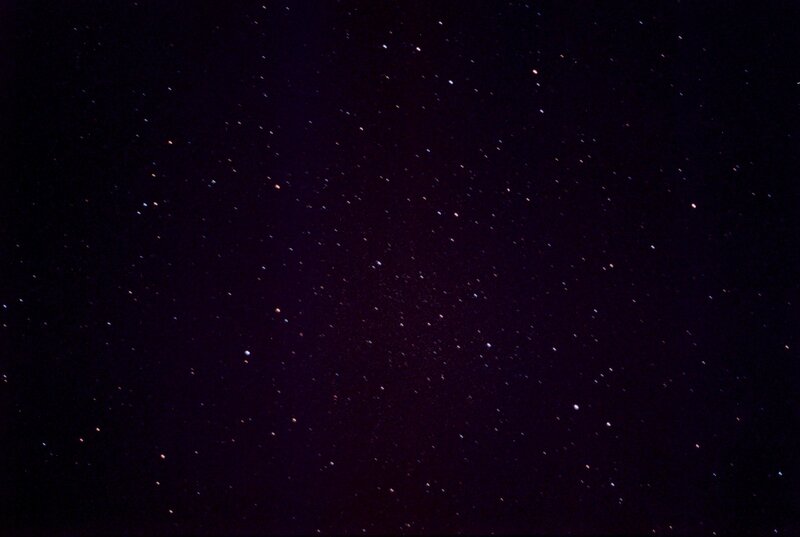 Albali, Epsilon Aqr (along with Mu Aquarii), lie above western Capricornus off the picture to the right. Nu and 53 Aqr also appear on the image of Capricornus shifted east. An image of Aquarius shifted north shows part of the Circlet of Pisces and part of southern Pegasus. The planet Uranus and the asteroid Vesta also appear on the picture as of October 9, 2004: see the labelled image. Aquarius has two stars with orbiting PLANETS: Psi-1 Aqr and HD 210277.